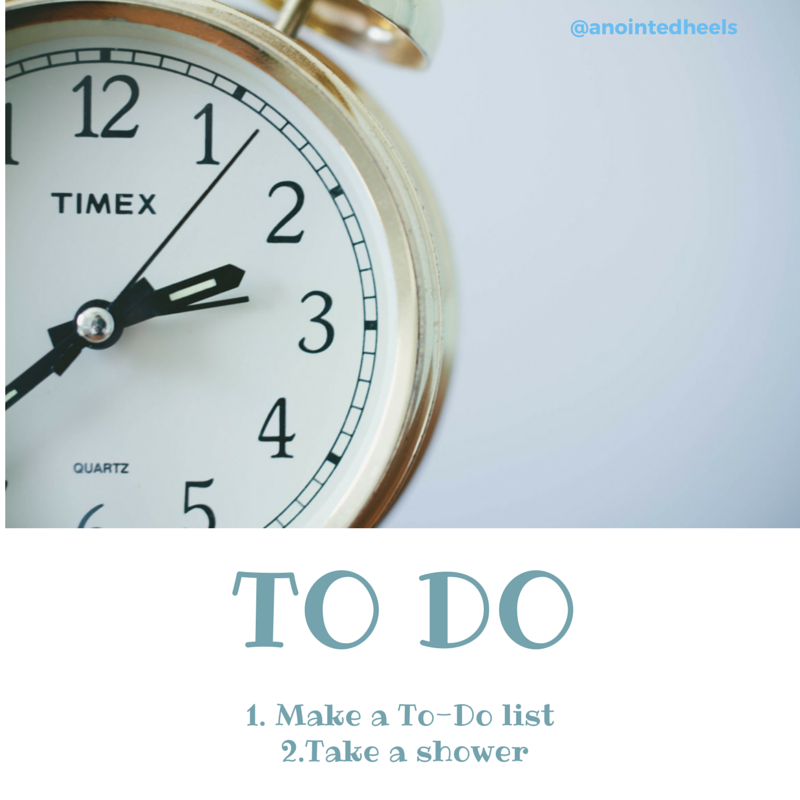 Last week I shared about taking control of my schedule. I have been all over the place, been very busy but I don't get anything done. I'm always doing something important the problem is which important things do I do first? Among all the important stuff, showers sort of fall in the bottom of list. Don't judge me! Working in pajama is fun, just not as productive as I would like. I've been making changes I started with something as simple as taking a shower. Funny right? I find that when I take shower in the morning I give myself the signal that my day has started I get dress packed all my "office" in a Trader Joe's bag and head to the library from 10 o'clock to 1 o'clock. I have gotten so much done in those few hours I had to pat my back. I feel so proud of myself of all the stuff I've accomplished for the day, just by taking a shower and leaving the house. This is a small victory in changing my time wasting habits. First thing in the To-do list take a shower! I really need to work on my time-management skills. I'm to a point now where I have so much to do yet seemingly get nothing done at all because I'm so all over the place. I need to make a list and stick to it. Thanks for the reminder! I have horrible time management skills. My main issue is procrastination. I make lists every single day but as the day goes on I waste o much time doing things that don't really matter. I'm so awful at time management that it's not even funny. Thank you for this. Now if I can only get over the procrastination thing, I'd be good to go.